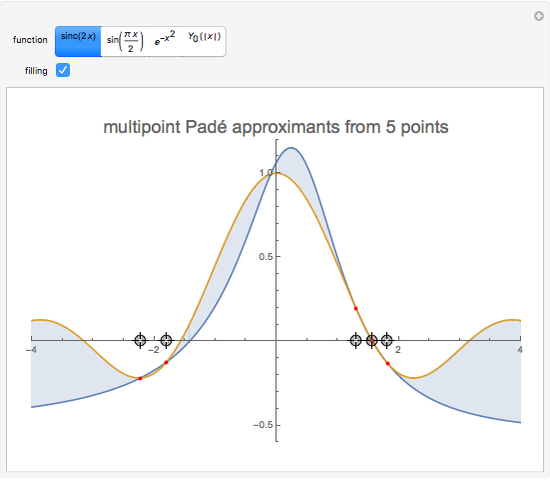 Explore the convergence between a given function and its multipoint Padé approximants. 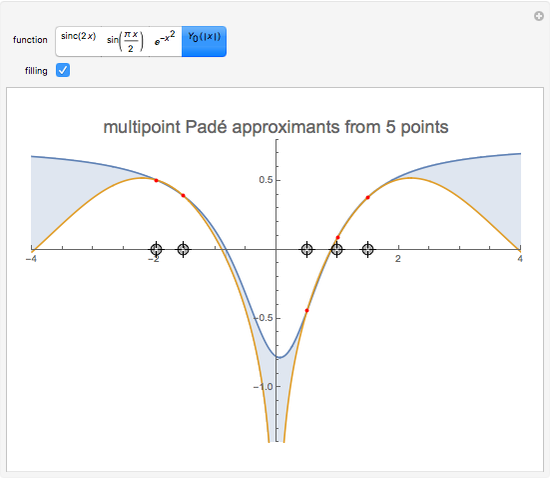 The multipoint Padé approximants are calculated for given knot points by using a continued fraction. 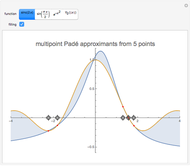 Drag the locators on the axis—or change their number—to choose the knot points and see the behavior of the Padé approximants for a given function. 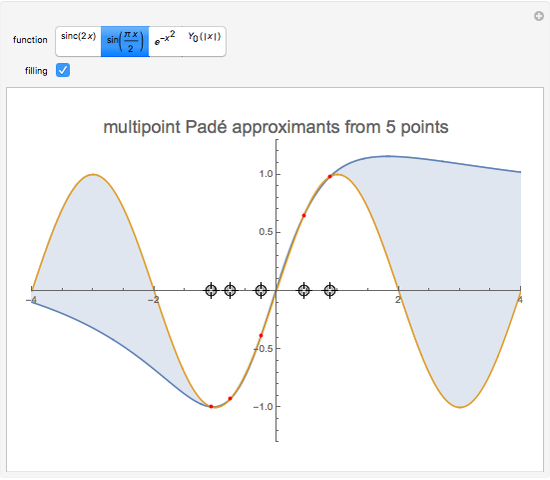 The multipoint Padé approximants are the ratios of two polynomials that interpolate a function given knot points. These approximants can be treated as an extension of the analytical Padé approximant of order calculated for a continuous function. A rational function can be represented by a continued fraction; usually the continued fraction expansion of a given function approximates the function better than its Taylor or Fourier series. The abscissas of the knot points and their number are chosen by locators. 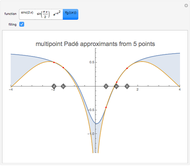 Once the coefficients are determined for a particular function, their values, together with the abscissas of the knot points, are substituted into the continued fraction to yield the multipoint Padé approximants. The continued fraction is plotted together with the approximated function to show the difference between them. 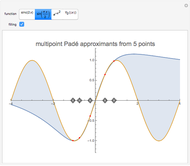 Blazej Radzimirski "Multipoint Padé Approximants"